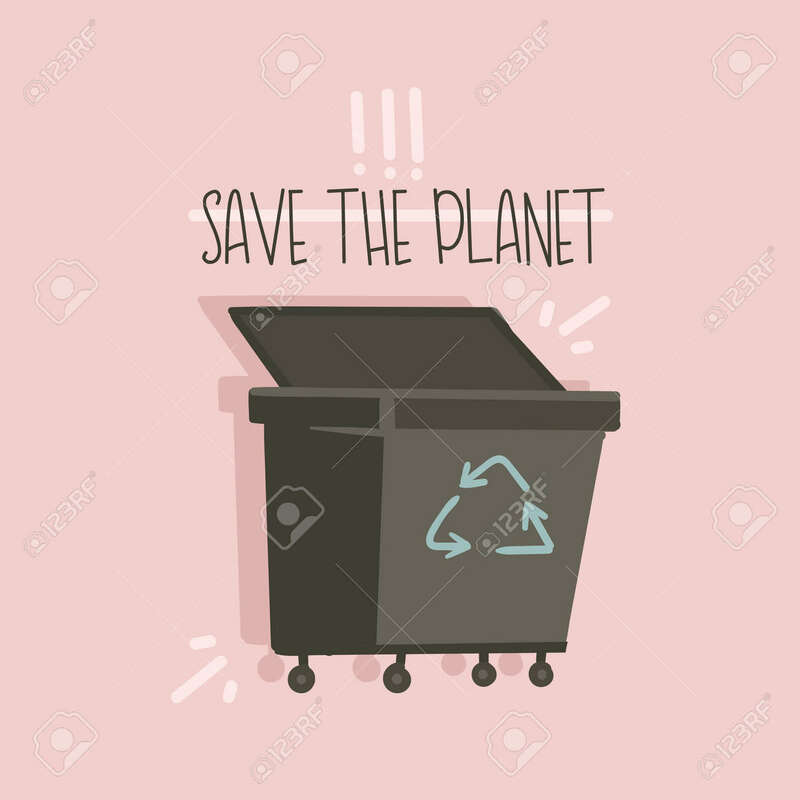 Hand Drawn Vector Abstract Cartoon Modern Graphic Illustrations Art Card With Zero Wastle Concept Text Save The Planet And Trash Can Isolated On Pink Background. Royalty Free Cliparts, Vetores, E Ilustrações Stock. Image 114045948.